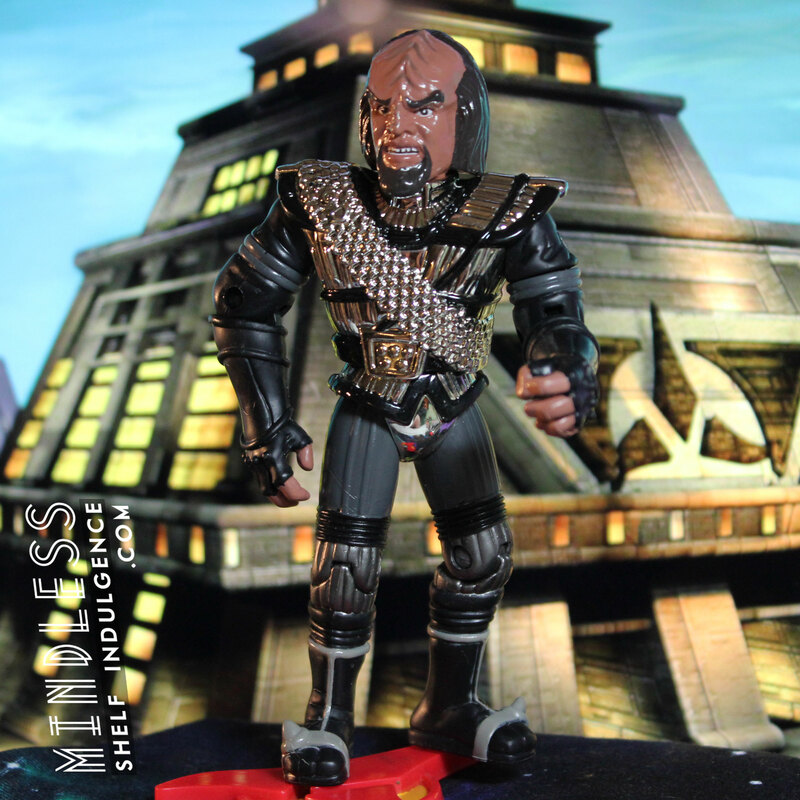 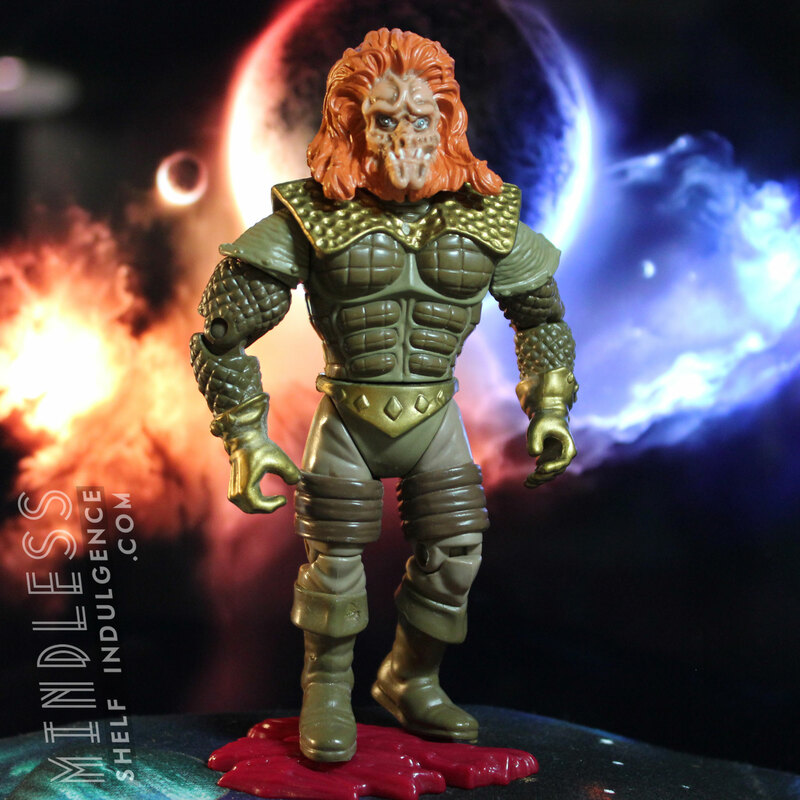 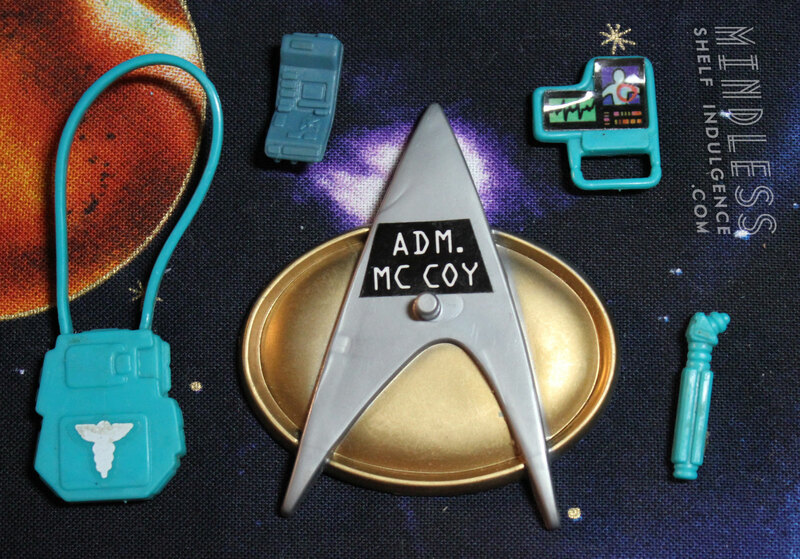 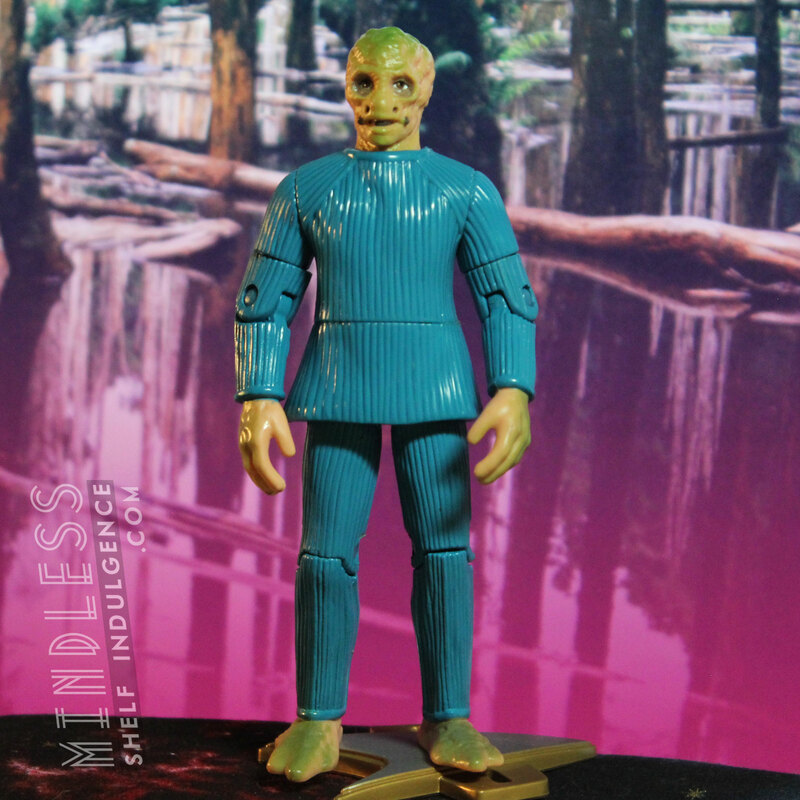 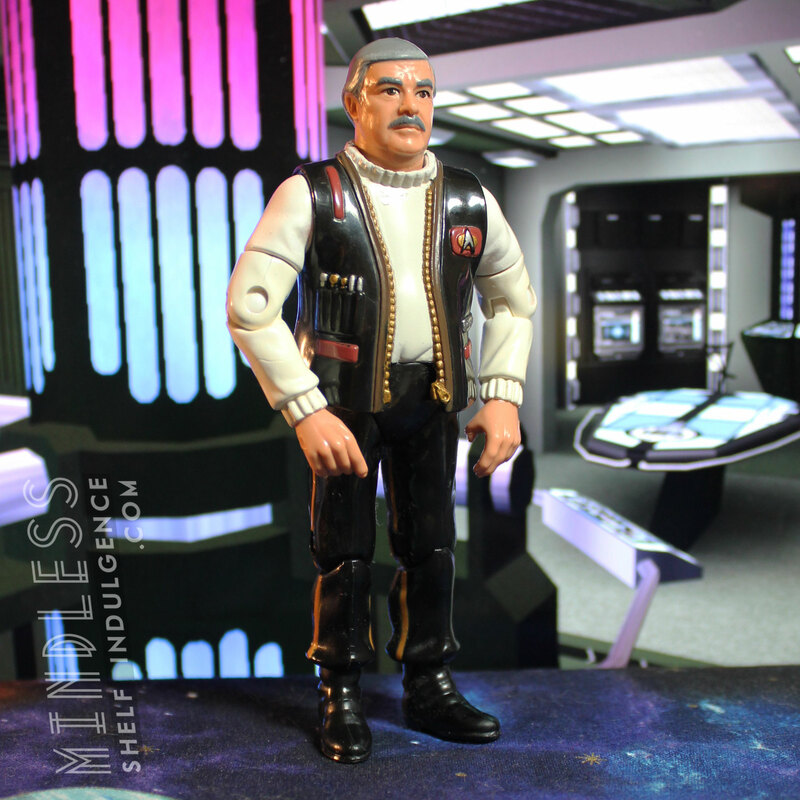 Admiral Leonard ‘Bones’ McCoy comes with aqua accessories, and is one of only three 4.5″ Playmates McCoy figures, alongside the Original Series and the Motion Picture. 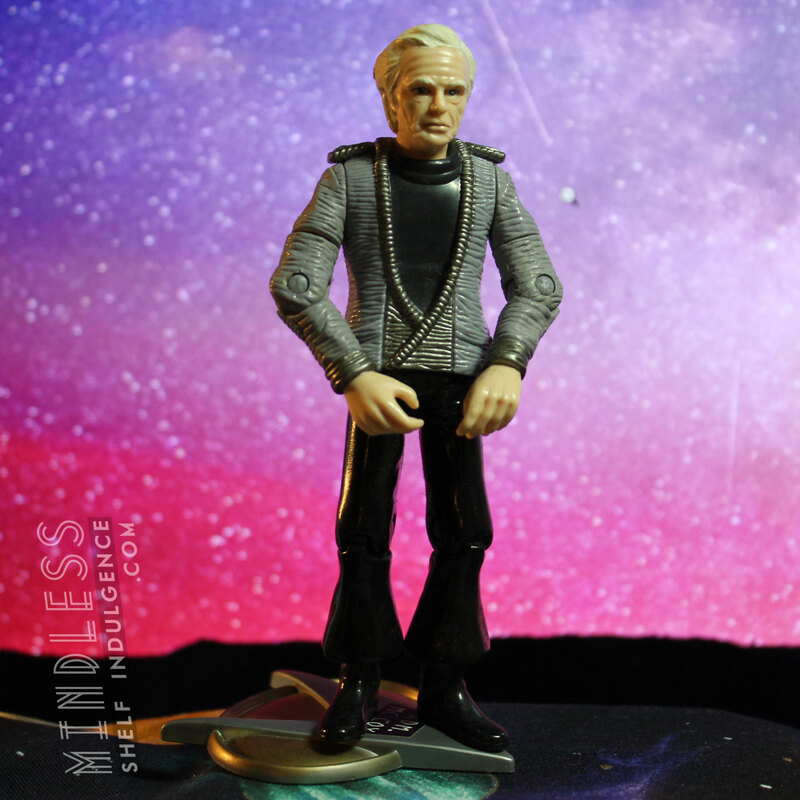 McCoy appeared only in the first episode of Next Generation, at the age of 137, never to appear again. 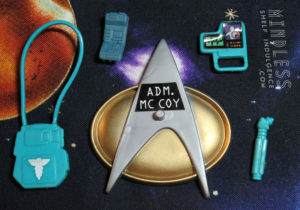 McCoy‘s appearance in the premiere of Next Generation was kept a secret from many staff and fans alike until the episode actually aired.